Free security / alarm consultation and quotes on existing or new build premises. Advice / recommendation on high performing brands of security systems Auckland and Rodney wide including DSC alarms, Elite alarms, Paradox alarms, Bosch alarms, and Micron alarms. 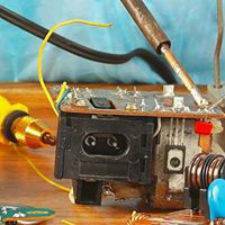 Auckland and Rodney wide servicing of faults and repairs on all security systems including but not limited to DSC, Elite, Paradox, Bosch and Micron. Installation of commercial and residential security systems Auckland and Rodney wide. Installation of all alarm systems, keypads, sensors, sirens, batteries and remotes, communication wiring, access control systems including smartcard access by a Ministry of Justice Licenced Technician. 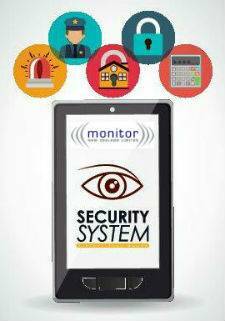 Upgrade of existing systems to include additional features such as wireless equipment to include remote key fob control devices, replacement of existing/faulty sensors with advanced technology to prevent false alarms including those generated by your indoor pets and night arming function to ensure peace of mind while you sleep. IP and GPRS/GSM monitoring solutions for naked broadband, UFB fibre optics and VoIP. Having a monitored alarm is the only way to ensure that your alarm will be responded to. 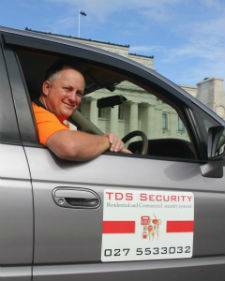 Contact TDS Security for advice and a competitive quote for affordable monthly rates. Mobile Apps represent the latest in home security system technology. Until this development, you’d have to set your alarm and “hope for the best”. Now with your phone, you can arm and disarm your system, watch live security camera footage, and more while you’re away from home. Having your smoke or heat detectors hard-wired into your existing security system means you don’t have to worry about the smoke alarm battery running down. If smoke sensors are activated, your siren will sound letting everyone know there has been an activation. Annual service reminder to ensure your system is always in tip top condition – systems that are not regularly serviced can cause unwanted stress to the user, failing batteries and sensors being a common fault. Having your system regularly serviced will be able to highlight these issues before they become a problem. Efficient, on time, experienced and personal service continued with after-sales support, maintenance call outs and annual service reminders. Auckland-wide mobile coverage area. Whether you require a brand new alarm installation, an upgrade of an existing alarm system, or a service of an older model security system, our licensed security technicians are experienced in identifying individual needs and can offer expert advice on the most effective system to suit your requirements to ensure your family and assets are protected.